The theme for this edition is creating value and the commitment to ensuring that teams within the BBR Network are able to deliver the highest level of technological support and services. 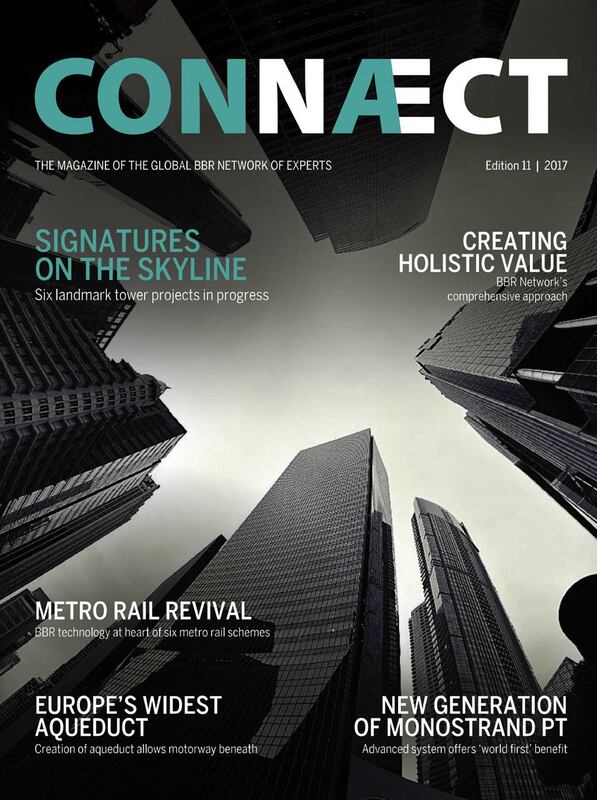 The articles and projects in this edition highlight how members provide a specialised personalised service with a focus on best value. NZ content highlights as follows. BBR Contech’s new Auckland office and warehouse is now open for service (p11). In the bridges section, the post-tensioned rail bridge associated with the Normanby Realignment project in Taranaki is featured (p40). Ryman Healthcare has installed a post-tensioned floor at its new Greenlane village (p53) and the longstanding relationship with The Warehouse and Naylor Love encompassing 24 projects and 250,000m² of post-tensioned floors is profiled (p56-58). We continue our association with Fonterra this time at the Lichfield, South Waikato milk-processing plant (p58). Seismic upgrading and strengthening work comprising FRP in Hawkes Bay is profiled covering four projects (p74-77). The upgrading theme is continued with a project report on FRP and vertical PT applied to the historic Textile Centre in Parnell, Auckland (p78-79). And our concrete repair expertise is deployed to provide some maintenance services for Fonterra at its Whareroa milk-processing plant (p80). As always, we acknowledge the support of our customers and business partners for their assistance in preparing this material – providing the opportunity to showcase these achievements in this international forum. Click here to view the latest magazine.